SSMECH Offers Plastic Processing Machinery like Plastic Scrap Grinder Machine, High Speed Mixture Machine, Plastic Agglomerator Machine. The application of Plastic Scrap Grinder Machine is to Grind Plastic Material in some pices. The size or output are different as per customer's requirement. 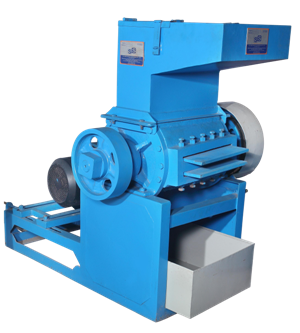 We are offering Wide Range of Plastic Scrap Grinder Machine. This Machine is used to Grind material like LLDPE, LDPE, HDPE, PP etc.